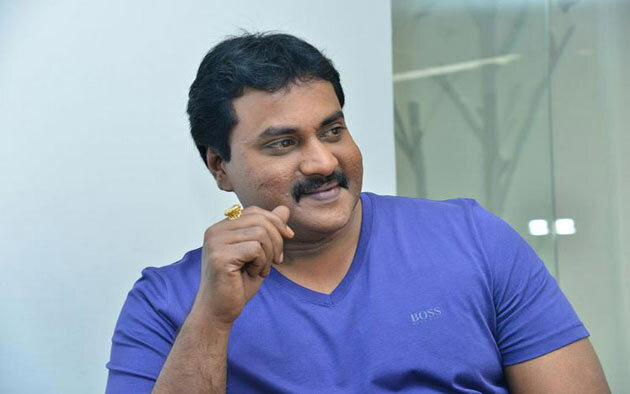 After testing his luck as a hero for a long time, Sunil is back to be a character artist with 'Aravinda Sametha' movie under the direction of Trivikram. Everyone thought that Sunil is going to play a vital role in the movie and will appear in most of the scenes. But, after the release, the onscreen time of Sunil is very less than what the fans expected. When asked about the same, Sunil stated that he is very happy to give a re-entry as a character artist again with this movie. "Some people are asking me why I don't have a big role in the movie. But, if we think about it, I appeared in most of the scenes in which I was needed. In fact, there are some scenes which were edited out by Trivikram. But he made sure that there are no unnecessary comedy scenes in the movie. Trivikram made a classic film in action and faction genre and I am very grateful that I got a chance in this film. I saw the movie with the audience. They all loved my character. As I also played a good character after a long time, I also felt satisfied watching me on the screen" said Sunil. Continuing his career as a hero, Sunil is also going to play more such character artist roles in the movies. He will be next seen in Chiranjeevi's upcoming magnum opus 'Sye Raa Narasimha Reddy'.